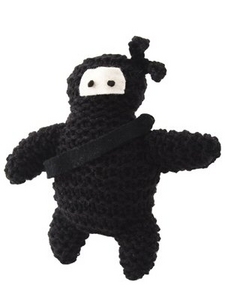 This is a little knitting kit with all the bits you need to create your own mini ninja – including full instructions of course. It’s a great introduction to knitting, which we hear is what all the cool kids are doing nowadays. A great gift and it certainly beats another bloody knitted scarf from your gran.